Earthquakes, floods, tornadoes, and other natural disasters can pose a major hazard to energy wells. By disturbing the earth around the well, these events can release sediment into the well or cause the gas to leak. Natural gas wells travel thousands of feet under the earth’s surface, so gas well inspection is critical following a natural disaster. Follow these tips for the safest, most efficient inspection possible. Cut Off Power: If possible, cut off all power systems before inspection. If any electric lines were damaged during an earthquake or any water made contact with wires, you want to avoid making contact with this potential dangerous grid. If you spot any electric issues, you can then handle repairs safely. Check For Blockages: If any surrounding earth dislodged into the gas well, it’s important to inspect for blockages that could impeded gas flow. A deep well camera from a credited well inspection camera supplier as well as an impression block are both suitable tools for this. 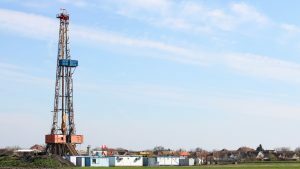 Inspect Gas Quality: Natural disasters and any sort of severe weather can cause sediment to fell into the gas well, potentially lowering the quality of the gas. Your company may have to take extra steps to purify the natural gas or oil. 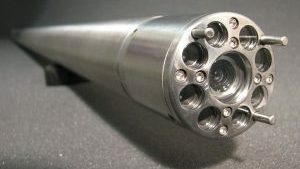 Use A Downhole Camera: As mentioned above, a gas well camera is a great tool for well inspection. This is especially true when human safety is at risk. To avoid getting too close to the well and to inspect every detail of the well, look into the options provided by a well inspection camera supplier. Continue Inspection: The effects of the natural event may not happen immediately. There might be some residual issues, so be sure to inspect the well in the days following your initial inspection. You might find additional damage or altered earth. Staying detail oriented and prioritizing safety will ensure that the entire inspection goes smoothly. To avoid any error, be sure to have an inspection procedure on hand at all times. It is also important to have a person or team of people in charge of this process. In the United States, there are more than 900,000 active gas and oil wells. Because of the vast number of wells and the increased production of domestic natural gas in the United States, it’s important now more than ever for workers and their executives at gas and oil extraction sites to be involved in the prevention of injuries and environmental damage. The ignition caused by motorized equipment during servicing, drilling, and the production of operations can result in the result in fires and explosions. According to the Census of Fatal Occupational Injuries, 823 workers involved in gas and oil extraction were killed on the job between 2003 and 2010. How can you involve yourself in the health and safety of your gas and oil extraction workers? 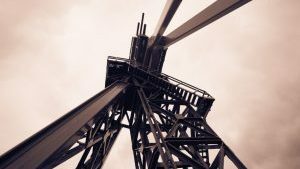 Many injuries and fatalities experienced by workers were often caused by being caught in-between or in heavy machinery or being struck by heavy machinery. Therefore, as in any construction field or workplace, it’s essential that you as an executive are providing your workers with efficient safety gear that enables them to be seen by other workers. High-visibility vests, jackets, pants, and helmets that are reflective in the respective light should be readily available and worn by employees in the gas and oil extraction areas at all times. By wearing high-visibility clothing you will reduce the risk of harm to your workers significantly. Having an emergency borehole camera on hand, as well as additional cameras such as a high pressure camera in order to withstand the pressurized systems of the well, is as important as supplying high-visibility clothing to your workers. A gas well inspection is necessary to determine the safety of the well in addition to the safety of your workers. 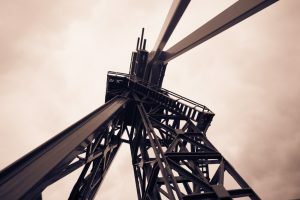 An emergency borehole camera, and an understanding of borehole camera specifications, will be able to identify potential hazards in a gas well. An emergency borehole camera is also able to be used in the event of a borehole’s need of repair. The safety risks for those workers involved in the operation of gas and oil extraction sites are vast. Therefore, it’s essential for employers and executives to be knowledgeable of safety hazards and concerns and to know how to address them. All employees should wear high-visibility clothing while working on-site and emergency cameras should be available in the event of needed repair or possible danger. Natural gas and oil are some of the most commonly used commodities in the world, with 96% of the products Americans use on a daily basis containing something created with natural gas. Because of the important nature of these resources, there has been several measures taken to ensure that they are extracted safely, and efficiently. Some of these measures are things like well inspections, either an oil well inspection or a gas well inspection. These can be done with well inspection cameras that allow one to see inside of the piping, to inspect their integrity. These cameras are generally high pressure cameras or high temperature cameras, sometimes a combination of both depending on the wells resources. The inside of a well can sometimes have pressures equal to, or exceeding, 15,000 PSI. Having technology to resist these pressures is key. Gas well cameras are used in gas well inspections, which have certain aspects that are judged and evaluated. These aspects can be applied to oil and water wells, too. Knowledge of local, regional, state, and federal laws concerning well inspection, pump installation, and a number of other practices. Aware of all safety protocols in any given situation related to the job, or it’s working conditions. A technical knowledge of, or experience with, any pumps or connected components related to the well. Some understanding of both natural and mechanical threats to water supplies nearby. These are just some of the things that an individual needs to know prior to the well inspection starting, whether that be a gas well inspection, or a water well inspection. When the inspection actually begins, a number of other requirements come into account. Determine the parameters of a well’s usage, whether it be for human, such as water, or technical purposes, such as oil or gas. Inspect, both physically and visually, the well system itself and its working components. These include, but are not limited to, water heaters, storage tanks, and filtration equipment. Record information regarding the systems inspected, as well as suggest for maintenance and a drafted schedule for future inspections. These are just some of the parts of a well inspection, no matter that is a gas well or a water well. If you have any questions about well inspections, please contact us. We’ll be happy to help. 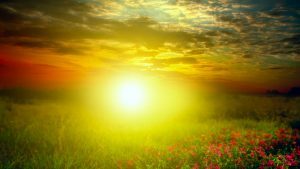 Almost everywhere on the planet, the shallow ground (the upper 10 feet of the Earth’s surface) maintains a nearly constant temperature between 50 degrees and 60 degrees Fahrenheit. However, above the surface it’s a different story entirely. Geothermal cameras are a great tool for measuring temperatures through images that would otherwise remain unseen when taken by a typical camera. Here are some answers to common questions about geothermal cameras. What are geothermal cameras used for? Geothermal cameras were originally invented and utilized to display geothermal imaging during the Korean War by the military, but they’re since been utilized by many other fields. Nowadays, they’re often used by firefighters to help see through smoke, locate fires, and find people amidst a fiery blaze. Law enforcement officials use them to investigate crime scenes, find suspects, and assist with rescue efforts. Electricians often rely on geothermal cameras to find overheated components and prevent faulty wiring. The industries that use geothermal cameras are virtually limitless. What exactly do geothermal cameras see? Geothermal camera manufacturers design their cameras to see infrared radiation, which is the portion of the electromagnetic spectrum that we cannot see without the use of specialized equipment such as geothermal or high temperature cameras. This equipment has the unique ability to detect both the hot and cold energy given off by different objects. What are some of the different features available from geothermal camera manufacturers? Like many digital devices and gadgets, geothermal cameras are available with a range of features, from basic to advanced models. Standard models typically measure the temperature of whatever is focused at the center of the lens. Some features enable the user to choose more than one crosshair and focus it at another part of the lens in order to compare the similarities and differences between the two or more temperatures displayed. Some of the most advanced models even offer a variety of color styles, ranging from black and white, rainbow, iron, and more. Ultimately, geothermal cameras are a useful piece of technology with a wide range of available features. For more information about the latest geothermal cameras, high temperature cameras, and high pressure cameras, contact Hitwell Video. Geothermal energy taps into the heat naturally created by the Earth to generate electricity. The idea is simple: there is a large temperature gradient between the Earth’s surface and the deeper regions of the planet’s crust. There are a few ways to transform this heat into electricity, but the most common method involves steam. As water seeps into the crust, it’s turned into steam, which is captured by geothermal plants to spin turbines that generate electricity. The United States is a leader in installed geothermal capacity, and geothermal plants in eight states produce more than 3,300 megawatts. However, one country puts us to shame, and that’s Iceland. 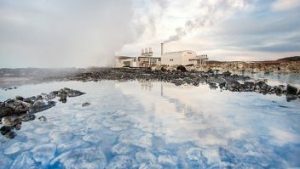 For years, Iceland has used geothermal energy as their primary energy source. Now, the country has undertaken a large green energy project that is the first of its kind. In April, engineers there drilled the world’s deepest geothermal well. Because this well is located on a volcano, there is incredible potential for geothermal energy. In fact, the temperatures at the bottom of this well are so extreme that water exists in a supercritical state, which means it acts like both a gas and a liquid. This also means the well has nearly limitless potential as a geothermal energy source. The well, which was dug at the HS Orka geothermal field in Iceland, reaches a depth of 2.7 miles underground. The project was part of the Deep Enhanced Geothermal System for Sustainable Energy Businesses (DEEPEGS) project, and the goal is to create a more powerful source of clean energy. 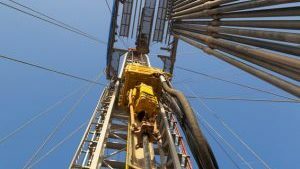 While this project can have numerous benefits, there are plenty of risks with such a deep well, including magma contaminating the water and volcanic rocks that can cause the drill to get stuck. “We just have to see…whether we are able to tame this monster,” said Hjalti Pall Ingolfsson, a member of Iceland’s Geothermal Research Group. The work by the DEEPEGS team was helped in part by IMAGE, which is a European Union funded project with the goal of improving methods to assess and drill into geothermal areas. In any geothermal project, special geothermal cameras are required to assess the potential of new wells. 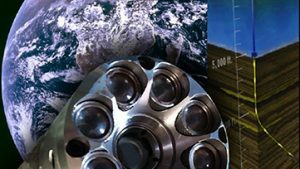 As more countries make green energy a priority, the field of geothermal imaging is evolving fast. However, it is important to note that these geothermal sites, especially one this deep, require special high temperature geothermal cameras for downhole well inspection. Geothermal imaging is crucial as a way to analyze what exactly is happening down in the Earth’s crust. Using a geothermal camera for wells can be an exceptionally helpful in harnessing this powerful, green energy source. If you have any additional questions about geothermal imaging, please contact our professionals today. When working in energy wells, it is important to take precautions to keep your crew, the environment, and the surrounding population safe. Basic inspection is the best way to achieve this level of protection. When done well, your entire operation is more likely to run smoothly without any major accidents. If you are the director of an energy well, be sure that your team is following these inspection best practices. Understand energy regulations. Each state has different regulations for maintaining and inspecting energy wells. Be sure to check your local municipality’s website or call the office to request information on these rules. It is essential to remain in line with these requirements, as any oversight could lead to fines and other forms or prosecution. Employ a licensed inspector. Make sure that whoever you are hiring for an on location well inspection has updated certifications and training. Also check that they are trained to use specific equipment. If you are using a gas well camera, for example, they should be able to operate it correctly and safely. Perform inspections frequently. 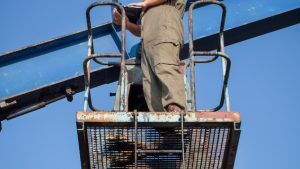 While the state may have guidelines on how often you should be inspecting the well, make sure that you are also performing this task before and after new operations. You should also perform an inspection every time that there is a natural disaster or other change to the earth. Use updated equipment. You can achieve the most accurate downhole well inspection with the most precise equipment. Using an impression block in conjunction with a gas well camera is a great way to employ both traditional and modern technologies to check for obstructions and other issues. For deeper inspection, consider investing in a high temperature, high pressure camera. Collect and record data. While completing an oil or gas well inspection, be sure to collect inspection data. Record the condition of the well, whether you found any obstructions, and other variables that come up in the process. With over 900,000 gas and oil wells in the United States, it is important to keep them all running without accidents. By following these steps, as well as best practices of your specific industry, your energy well will function safely and efficiently. Your team and the local population will all benefit from these efforts, making your team and project a non-invasive aspect of the community.